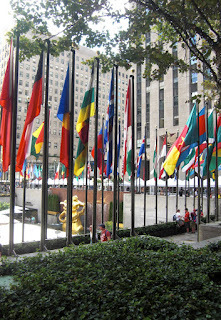 Flags of all kinds are still on my mind. In the summer, an outdoor restaurant replaces the skating rink at Rockefeller Center. 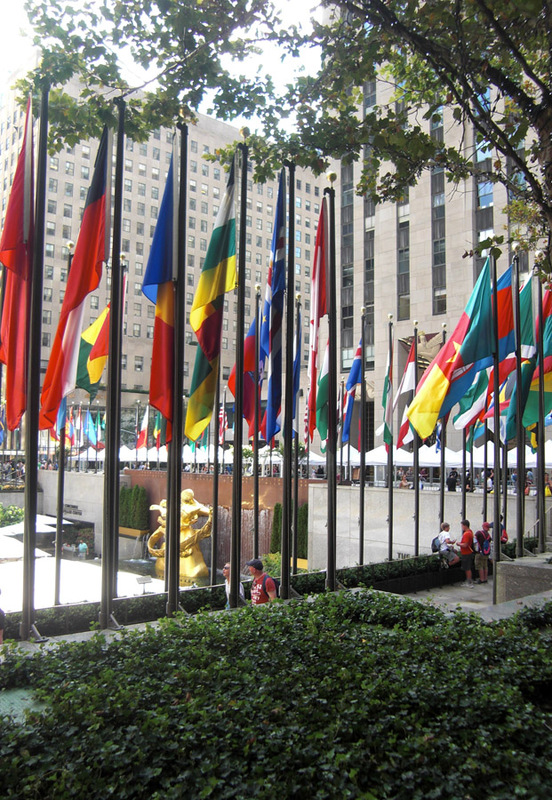 Flags representing the countries belonging to the United Nations surround the restaurant. The rows of plain white umbrellas allow the flags to be the stars of the scene. They catch the breeze and glow like stained glass in the sun. Whether they are outdoors or carried into a stadium at the beginning of another Olympics, flags are colorful, iconic and enduring symbols.